Luther’s single life is perfect, so why can’t he get Erik out of his head? For the first time, he imagines a more permanent life, one where he stops running. 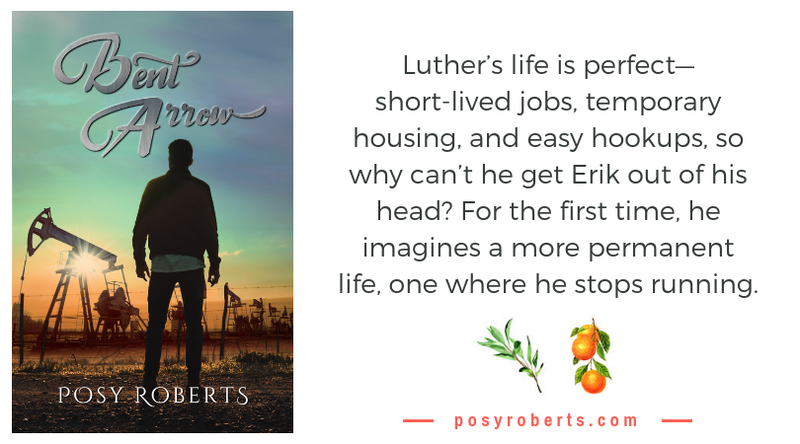 Luther’s life is perfect—short-lived jobs, temporary housing, and easy hookups. Inheriting his grandma’s lake house is the last thing he wants, even if the plumbing in his tiny trailer doesn’t work. When Erik arrives to fix Luther’s pipes, a tattoo hints he might be up for more than working on the drain, though he’s shy about it. They kiss—unheard of—and when Luther wakes to an empty bed, he’s disappointed. He can’t get their night out of his head. The last thing he expects is to want more. Yet every time they’re together, Luther feels grounded and Erik comes out of his shell. When the lake house demands attention, Luther asks for Erik’s help. Working side by side, he imagines a more permanent life, one where he stops running. A life with Erik. Now to ask. But the skeletons in Erik’s closet might make this relationship as temporary as all the rest.